Your loyal followers know where to find you, but what about potential customers, partners, or donors who don’t know you by name? They’re out there searching for what you offer, and SEO is how to make sure that your website appears in those key search results. It’s exciting when you start to show up higher on Google—but that’s not the end of the story. You need people to click on your links, engage with your content, and follow your calls to action. And, importantly, you need to earn backlinks to grow your site authority. As those things happen, Google recognizes that you’ve got a quality site and starts ranking it even higher. Do you know what people type in when they search for what you offer? Do you know which of those keywords you can rank for, based on the competition? Do you have pages optimized for your priority keywords? Do your architecture, homepage, and blog or resource center support a well thought-out keyword strategy? Today, SEO is about all that and more. The algorithms that Google uses to determine where sites rank in search results are complex and sophisticated—with factors that include backlinks, mobile friendliness, site speed, design, and user engagement. That’s why many leaders in our industry are redefining SEO—from “search engine optimization” to “search experience optimization.” And that’s why our team will take a multi-dimensional look at your site in order to recommend the most important steps you can take to grow your organic traffic. 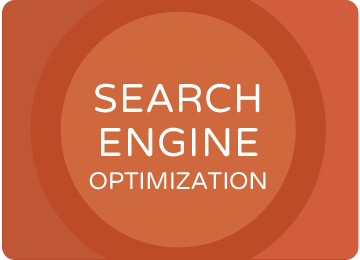 Our SEO services are tailored to your needs and goals. We start with strategy and research. From there, we can help you plan, create, and optimize content that grows your site’s authority and brings in traffic. If you’re producing your own content, much of your success will depend on the skills of your team. That’s why we offer education through the JB Media Institute, as well as customized training and coaching. We review your website’s performance, check for technical issues, explore content opportunities, and recommend actions to take. We also look for changes you can make to increase engagement and conversions. Your website audit creates the starting point for your strategy going forward. Don’t do SEO by guesswork! Keyword research gives you the data you need to target your efforts and get stronger results. We gather extensive data on the terms people use when they search, including search volumes and competition levels. Then, we recommend the keywords that hold the greatest potential for you. When you’re creating or updating a website, architecture decisions are often one of the biggest challenges. They’re also a major opportunity to strengthen your SEO. We can help you make sure your site architecture supports your SEO goals, while providing clear and intuitive navigation for users. Migrating your site to a new platform? Watch out! There are SEO hazards that can damage your site’s authority and cost you organic traffic—but they doesn’t have to happen. We offer consulting to guide you through the technical steps necessary to maintain your hard-earned authority. Your ability to rank in search results depends on who you’re up against. 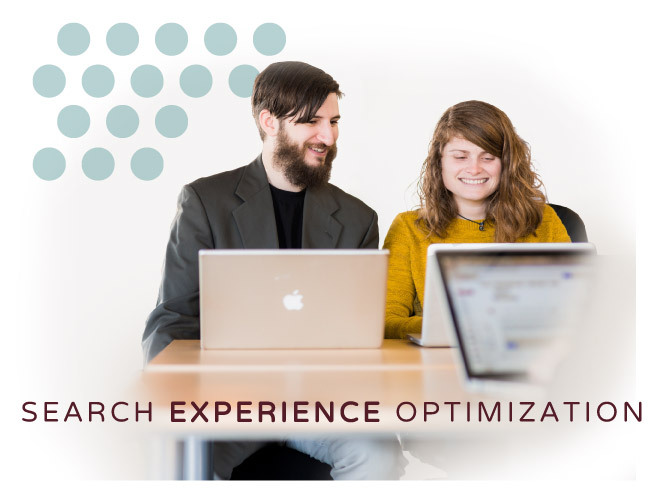 Our competition assessments help us identify achievable strategies to start growing your organic search. We also learn what’s working for your competitors—essentially, a peek at their playbook. A good content plan supports your goals across all your online channels . We deliver plans customized for you that can help tell your story, bring in search traffic, connect with people on social media, engage email subscribers, attract press attention, and earn links. Don’t like writing? Don’t have time? No worries. We’ve got this. Our talented professional writers will work with your to convey your message in your voice. We craft website copy, blog articles, reports, guides, emails, press releases, and other content that aligns with your SEO strategy. Want to do your own writing? We can help you get the most of it. We can work with you to generate ideas, develop a content calendar, edit your content, and optimize it for SEO. We can also collaborate with your team, creating some of your content while you create the rest. Google sees links to your website as votes of confidence, which improves your rankings in search results. We offer consulting, strategy, training, and additional services, including PR, to support quality link building, while avoiding outdated techniques that can hurt your SEO. We use keyword research to inform your site architecture, product descriptions, metadata, and schema markup — so your online store stands out from the competition and attracts targeted search traffic. We offer SEO training through the JB Media Institute, a comprehensive digital marketing course. We also offer customized coaching and training to support our clients.